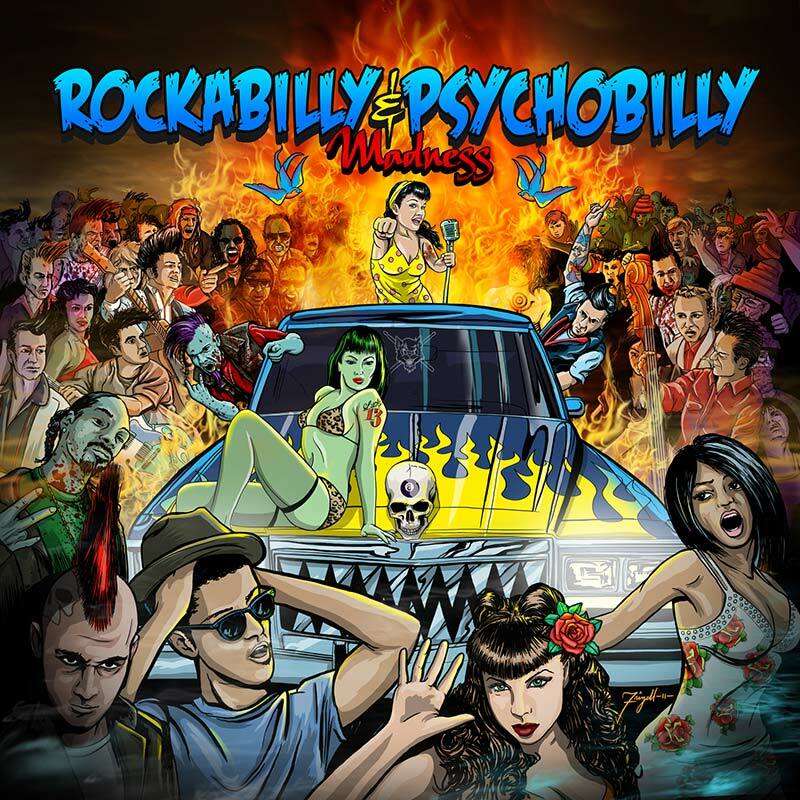 The biggest, baddest 2CD rockabilly/psychobilly compilation on the market! SKU: CLP7294. Categories: Audio CD, Double CD, Psychobilly, Rockabilly, Rockabilly. Features such well known acts as Stray Cats, Nekromantix, The Meteors, The Koffin Kats, Demented Are Go, The Polecats, Head Cat (with Lemmy of Motörhead) PLUS several pioneers of rockabilly Dale Hawkins, Dwight Pullen, Wanda Jackson and more! Includes 12 tracks that are exclusive to this compilation!